Mary-Lou O’Brien has made leaps and bounds in the e­ffective use of technology for the girls at Melbourne Girls Grammar [MGGS]. She led one of the first full-choice ‘bring your own technology’ programs, which frees students from technology constraints, enabling them to choose their own device for learning. O’Brien also has a major focus on role modelling for girls in STEM. In 2011, she created a small networking group of independent school e-learning leaders that still meets once per term. 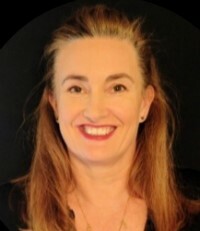 She also co-created the Centre for Educational Enterprise at MGGS, a community hub that unites world educators through shared knowledge, success strategies, research and global partnerships, with the goal of progressing outstanding practice in education. O’Brien regularly shares her thoughts, visions and passion with others within the education community, which holds her in very high esteem with her peers.